I love to travel. If I just have unlimited money, I will travel around the world…but I do not have it yet. So what I do is I always save money since I started working, allot 1-2 trips ( or sometimes, 3 ) per year to explore different countries, most of the time, with my family. And by the way, I always create our own itineraries to save a LOT of money, and be flexible at the same time! Cool right? So here I am sharing with you one of our great trips- Seoul, South Korea! This post is mainly for first-timers and budget travelers. 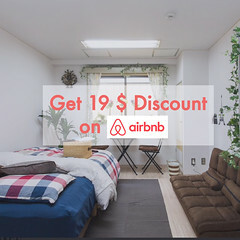 It’s mainly focused on visiting the famous Seoul tourist spots in the cheapest way possible without sacrificing the experience itself. 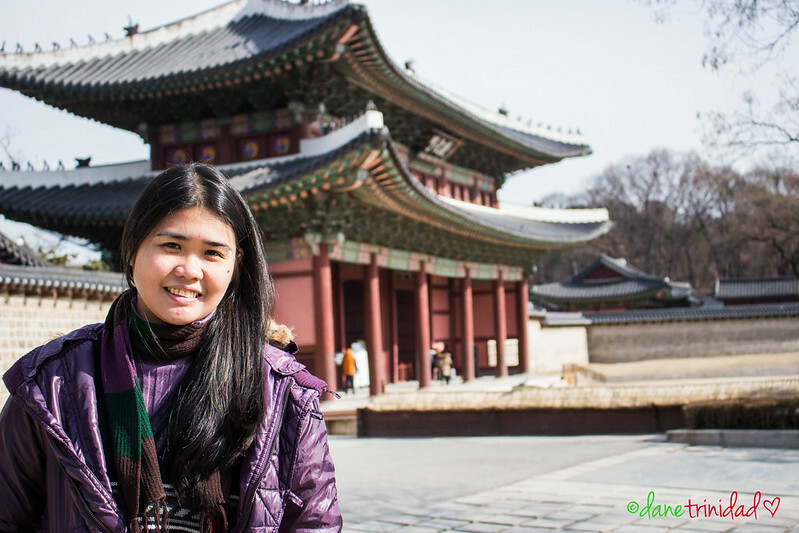 Here are the preparations you need to do for your Seoul, Korea Budget Travel! I was able to buy our Seoul ticket for only ~5000 pesos roundtrip per person, last Oct2013, for Feb2014 travel. Most of the time, I always buy promo tickets from Cebu Pacific. This requires patience, and instant money or credit card. 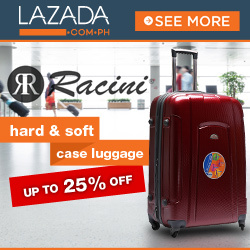 Promo fares are usually posted without prior notice, so better watch out! It usually starts 11 pm onwards, and by the time you wake up in the morning, most of the weekend tickets and prime destinations ( like Korea, and Japan) are long, long, gone. You can also add the Pisofare Facebook group and follow The Madaldal Kid Facebook group to stay updated on latest Airline promos. If you are not a richkid , then you need to save money regularly for your travel. Just to give you an idea, the average cost of DIY trips I had in the past are in the range of 12k-20k per person, All -in (ticket + lodging+transpo+food). 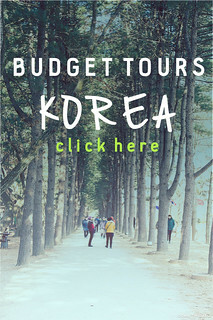 For our Seoul Budget Trip, our total expenses is around 17,000 pesos per person. Not bad right? Shopping expenses is a different topic, especially in Seoul where your hearts will jump out of excitement because of cheap and super good beauty products! Of course, you can copy the itinerary of other bloggers out there, but your trip will be more fun if you try to customize it based from your interests. If you are more into Culture, then try to put more palace visits in your itinerary. If you plan on allotting more time for shopping, then make time to visit Myeongdong and Namdaemun. Our itinerary is a combination of food,culture, and shopping. You can access it here ( The Madaldal Kid’s Korea itinerary). 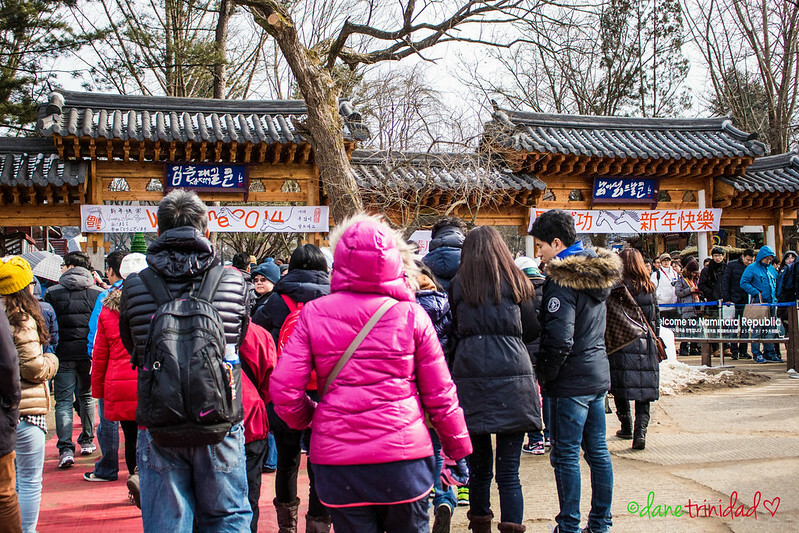 Entrance of Nami Island with touristssss!!! You can refer to my post here for the full details of Korean Visa itinerary. It is Free. You can get your visa in as short as 3 days for as long as 1 week. The validity of visa will depend upon what they will give you. During our first visit in Busan last Nov 2012, we were given a single entry visa valid for 1 month. 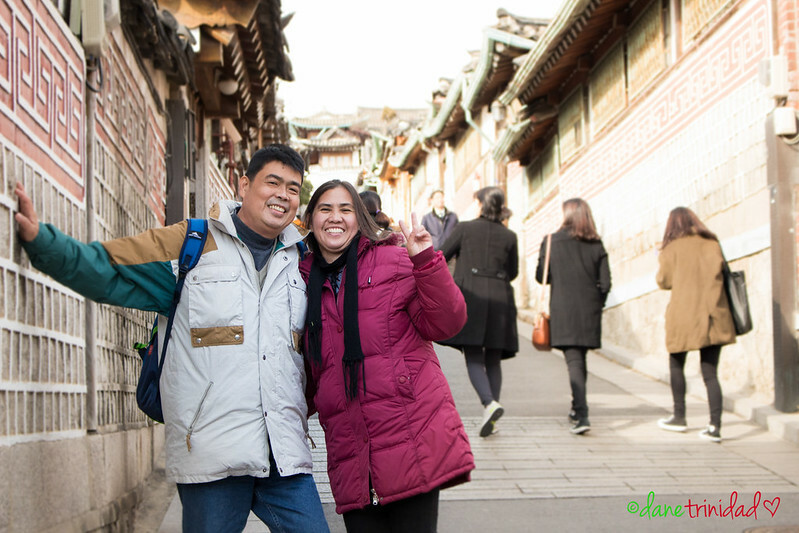 For our Seoul Travel in Feb 2014, we were given multiple entry visa valid for 1 year! 5. Prepare for the right clothes! Check the weather in Seoul before your arrival. I usually use Accuweather since their forecasts have been reliable during our Seoul and HK trips! If its winter, make sure to bring bubble jackets, thick coats, thermals, hoodies/sweaters, and accessories (muffler, scarf, gloves, and heat pads). Winter in Seoul is very cold. My parents beside the welcoming rock and block of ice in Nami Island! It’s really really really cold! 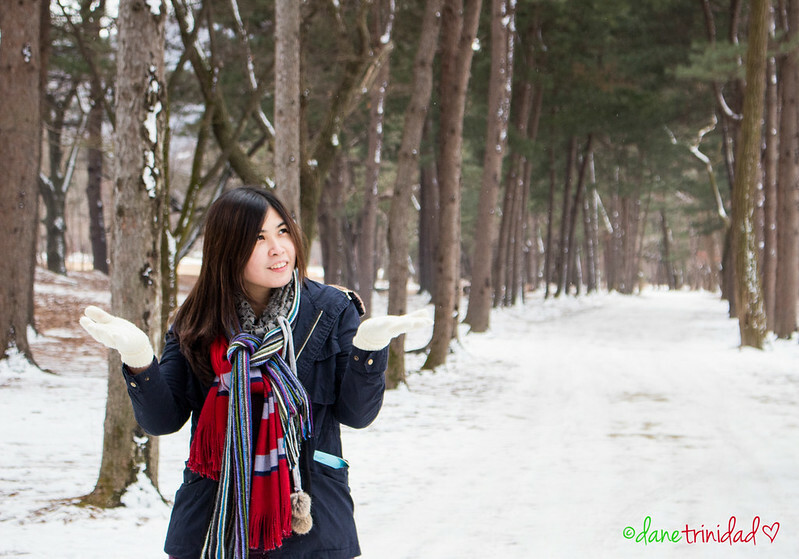 If you plan to shop in Seoul, then prepare your list! 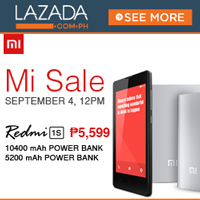 Check the internet for the best places where you can find the cheapest prices for the products you want to buy. Just a few tips, beauty products ( BB creams, primers, makeup) are sold anywhere but the cheapest prices I’ve seen is in Faceshop Namdaemun branch (probably because they are on sale? ).Korean bags are cheap in Gangnam subway station. Eyeglasses are also cheap in the optical shops in Namdaemun (around 15,000 korean won for the cheapest plastic glasses). Your blog is very helpful. I will be in Korea too, hopefully on February. hi, im planning to go to Korea next year after my graduation. Can I ask should I settle my visa first before the ticket? cause there are many promos now for next year. Kristine, it depends on your risk appetite. For me, I usually buy tickets first because of promo then carefully apply visa. If you are confident that you have all of the needed requirements and they are sufficient then you shouldn’t about your visa being denied. Hi! Your blog is very concise. I will be traveling alone to Korea end of September this year. 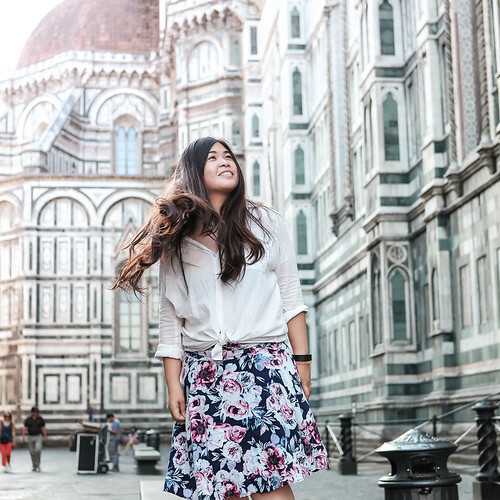 Is it safe to book for a dormitory with other lady travelers? 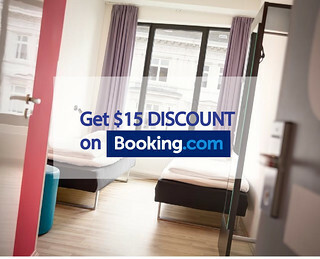 or do you know a single room that’s very cheap and accessible to the train station? Hi Jill! Seoul is a safe city so you shouldn’t worry. 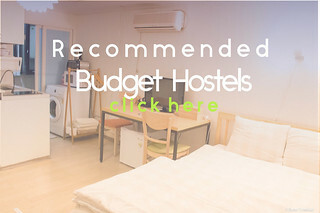 For rooms, please check the hostels I mentioned in the post below or go to Archives tab then scroll down to see the recommended hostels. They have single rooms/ and dorms too. Thanks Marianne! I know this is a silly question but how can we avoid getting lost there? my bf went there last year and he said almost all the road signs and directions are in hangul and there’s a possibility of getting lost with no one to turn to as almost all of the koreans do not speak english. Are the maps useful? I’m planning to spend at least 7 days incase I get lost, lol, I can still revisit the place the next day or something like that.